Please describe your issue in as much detail as possible and we will be happy to help. first thing first, if you are submitting multiple tickets on the same issue each time you resubmit a new ticket you get moved to the back of the support queue. you have to just submit one ticket and wait for their response. it can take awhile sometimes. i don't know why you aren't getting any points, but if you do not have any coins then you won't get the blitz option. i guess it is a moot point if you aren't getting points, though. sorry i can't be of more help. you might try pm-ing a mod if support doesn't get back to you in a timely fashion. unable to blitz 47 targets. Also unable to submit a ticket as it says that my facebook account is not linked to my kix account....which is inaccurate, and I don't have a valid e-mail on file, but I can't change it cuz I am unable to verify my identity through my facebook account that is not properly linked to my kix account. ive got the same problem. been playing for six years,ive never bothered sending in a ticket. now with the crazy lag this raid ive tried several times to submit a ticket. it keeps saying i am logged on to a faceboolaccount that is not associated with this kixeye account and i should switch facebook accounts. since i only have 1 facebookaccount thats kinda hard to do... please help! 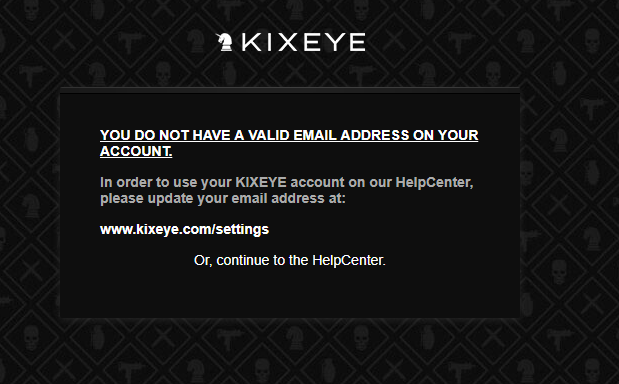 Update 17.08.2017 : My Problem is not solved, can anyone from Kixeye help me please? CS Dade Murphy can you help me too please? When i try to send ticket i get cant verify using this fb account, its the only account i have, can you please fix this. Tried to send ticket, it says i have not spent $50, ive spent more than that. I was refitting a rage & used tokens not only did it not refit it, it took weapons off, How do I contact Kix when they claim i havent spent enough. i tried to use support it said i needed to validate my email. 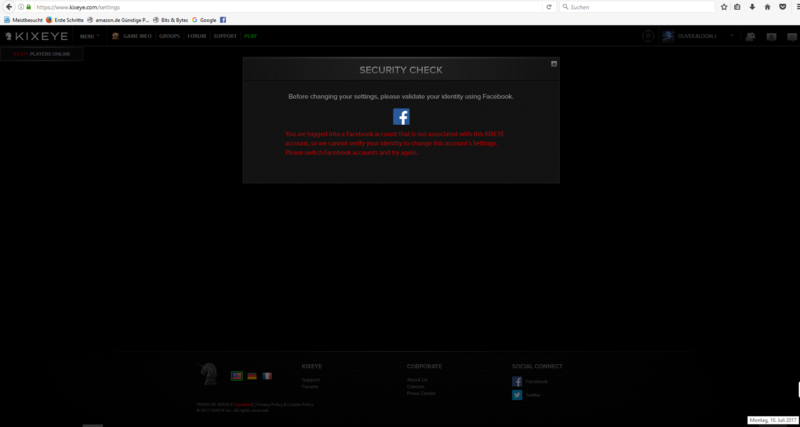 went to setting tried to connect fb then got this message ///You are logged into a Facebook account that is not associated with this KIXEYE account, so we cannot verify your identity to change this account's Settings. Please switch Facebook accounts and try again. i dont have any other account to connect. hello, I was in sector 316 and wanted to jump in sector 106. At the time of my jump my Hiperyon was in another sector and did not report it to 316. I jumped off. I did refresh and from that moment I can not get back into play again. The play start up keeps on stopping and does not let me in . My ID: is: 7166802 Version: 347.96576 KIXEYE Inc. But when i try to send a ticket they tell me you DO NOT have an E-MAIL ADDRESS ON YOUR ACCOUNT. But i only have this account , pls help me if enyone can send a ticket for me . I haven't been able to send a ticket for any and all the problems i have had in BP since i started playing, it keeps coming up with i don't have a valid EMAIL. 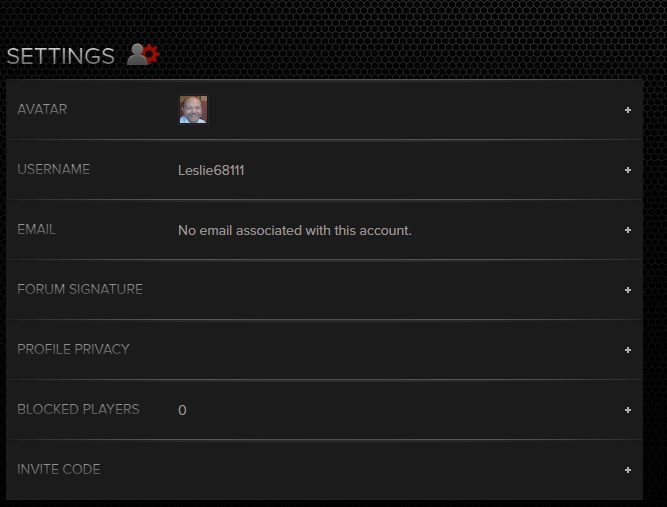 i have had this EMAIL for more than 10 years my ID is 8818956 , i play it through FB and KIXEYE -CRAIG_F45. i think i just need to change my information , you do send me all the offers you take my money for coin but i cant send you anything. I first started playing on face book and have been active on the forums for several months now. I am unable to validate my Facebook account and keep getting the message "You are logged into a Facebook account that is not associated with this KIXEYE account, so we cannot verify your identity to change this accounts's settings. Please switch Facebook accounts and try again." I am using the same facebook account that i log into the forums with and play BP everyday on Facebook any help is greatly appreciated. I do not have valid email address , I haven't been able to send a ticket for any and all the problems i have had in BP since i started playing, it keeps coming up with i don't have a valid EMAIL , i play it through FB and KIXEYE . I gave my Bp account to a friend a couple ogf years ago. He doesn't play Bp anymore, therefor i got it back. 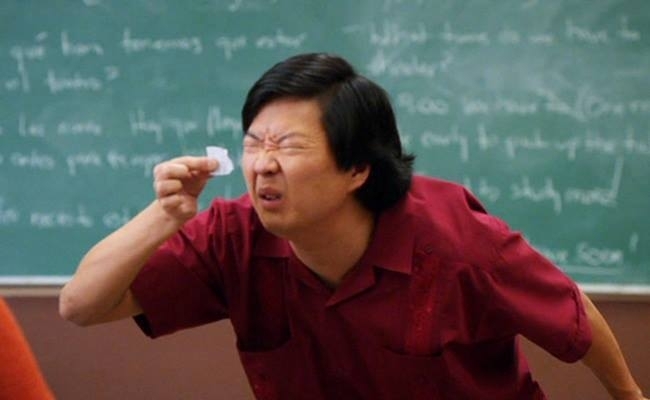 But for some reason i can't acces the game. It says something about cheating? How do i get the game back? since 2014, when i try to access suport using the e-mail you send my receipts to for raid repair coins purchased gives me"e-mail already in-use"
I can't make a ticket because it says I need to sign in - DUH! !, can't do that, because I've FORGOTTEN my password!! I've tried to use the new HELP box in the lower right of the screen but every time I've tried to use it, it tells me something went wrong and to try again later - ANOTHER kixeye GLITCH!!!!! CRAP!!!!! I sent in a ticket via my hubby's acct and they said they couldn't help me cuz they can't help anyone using or going via a third party acct - I understand that - so they told me to make a new email and recontact them - did that and no one will answer me - and I've tried 3 times!!!!!!!!!!!!!!!!!!!!!!!!!!!!!!! I referenced the exact same ticket number wherein they told me to get a new email yet now they ignore me!!! I tried to make a new ACCOUNT but then I did I f*cked up BIG TIME AND USED the same email as on the acct that I can't remember the password and now I have TWO accts with the same email address (well I think I have 2 accts), but if I do, this will be MY LAST CHANCE TO POST OR EMAIL OR BE ON BP using my REAL acct because I just KNOW that once I get off and close the browser, it will revert to the new account I made with the wrong email and then I WILL NOT BE ABLE TO GET ONTO BP UNDER MY GOOD ACCT!!!!!!!!!!!! You see I just happened to have this tab still open using my good account so I really need someone to email me using the email address of K_2, sector 106, I'm in very lower left corner of the sector and just above the drac sub base, I'm a level 88, and I'd give you my ID number but I'm afraid if I push the **play** button to see the ID# and then try and get back here, it's going to throw me into my new account, rather than my REAL account and then I really will be ***sh^t out'a luck***. I'm at my last straw, I'm in a life boat at sea, with no distress beacon, no water, no food, I need some REAL HELP.....I really fear this will be my posting using my REAL acct, SO I NEED A MOD TO CONTACT ME OR TELL ME WHAT TO DO, and I know there is some real good intentioned people on the forum and more trolls than anyone needs, but PLEASE, IF YOU ARE NOT MOD, DO NOT reply, so a MOD can help me.